?Whatever it wants to be (mobile phone, PDA, Tablet PC), Seamless Internet announced at CES a new device which they call an ?Ultra Mobile Portable Computer (UMPC)? and which is based on a radically different design. 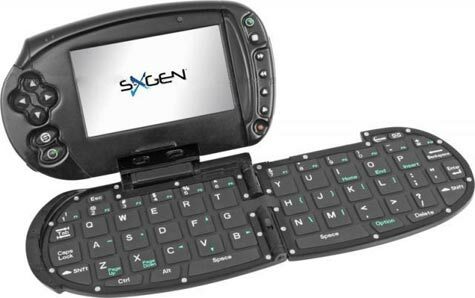 The S-XGen from Seamless Internet a publicly traded company, is the only UMPC of its kind to integrate all of the computing and digital functionality of other UMPCs in a design that offers a near full-size keyboard and an ultra-productive eight-hour battery life.? 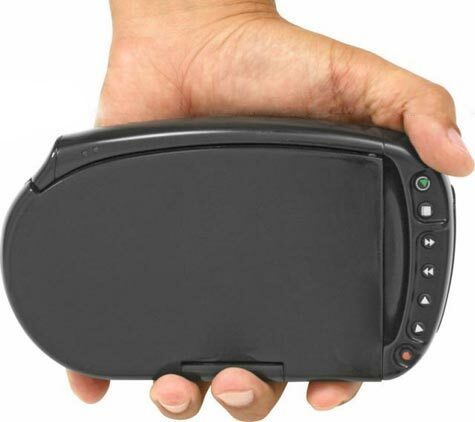 From a specifications standpoint, this device falls somewhere in between what we might expect from a Pocket PC and an Ultra Mobile PC. The S-XGen runs Microsoft Windows CE 5.0 as opposed to Windows Mobile and sports the Intel PXA 270 Xscale 520 MHz processor, 256MB RAM, 20GB HDD, 4? 470 x 280 TFT screen. Size and weight are measured at 6.5? x 3.8? and 14oz respectively. Their hook is obviously the fold-out keyboard, though the question you?ll need to ask is if that ultimately helps make this device worth $1400 USD! Thoughts?